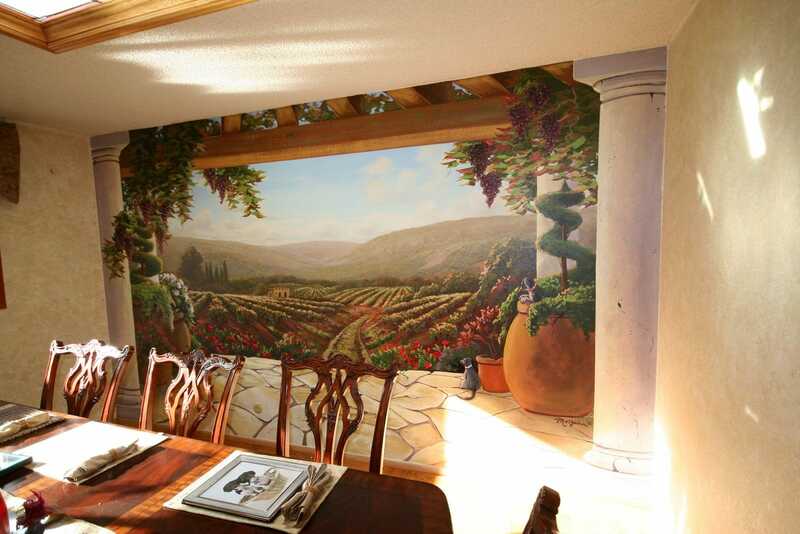 This mural was meant to capture the love of wine and Italy the clients had. They had a long dining room with only a small, high window, and wanted a more expansive feeling in their dining room. So, we blasted open the wall, and behind it was this beautiful scene of Italy. Who could have guessed? 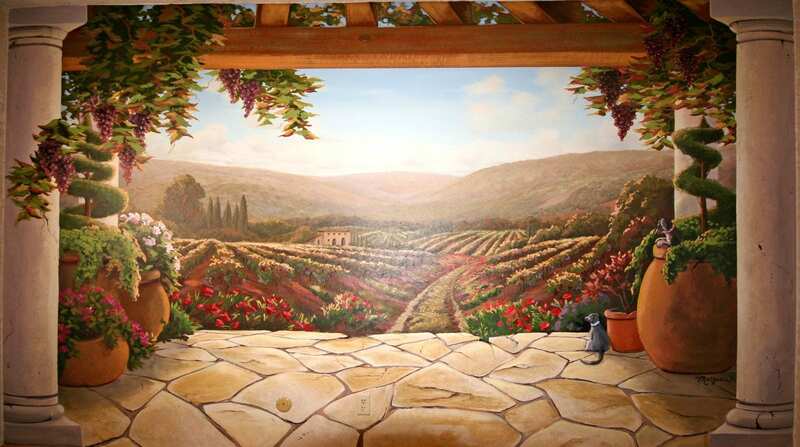 For more information about this mural project, read my blog post Tuscan Wine Mural.